FAITH FORMATION IS A LIFELONG JOURNEY! We invite all people interested in deepening their faith to join us weekly on Thursday evenings for the Parish of St Bernadette Adult faith evenings where we view various Catholic series with Fr Phil Daley and then gather to discuss the material over fellowship. Sessions run Thursday evenings at 7 pm in the parish upper hall. Thursday evenings, at 7 pm. We will be taking a break over Holy Week and Easter. 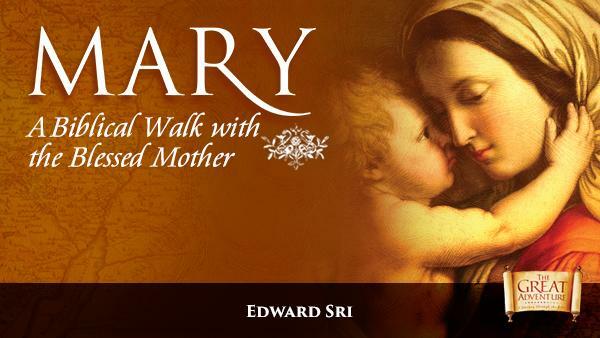 Mary: A Biblical Walk with the Blessed Mother is a Catholic Bible study that will bring you on an extraordinary pilgrimage, revealing Mary’s unique role in God’s Kingdom and in our lives. Visit the grotto of Mary’s home in Nazareth, the cave where Christ was born in Bethlehem, the site of Our Lord’s victory on the Cross, and other rarely seen places in the Holy Land.